At Zet Universe we apply science, technology and our passion to the pursuit of Enabling Human Creativity. Everyday we and our partners conduct a multidisciplinary research and software development in computer science, psychology, history, and other scientific areas to advance human desire to learn new things and to create new ideas transforming our world into a better place. As we continue our work, new models of interacting with computers, retrieving information, analyzing it, and creating new information products emerge and evolve. Based on the philosophical concepts of the dynamic systems and semantic web, inspiring ideas of Context-aware computing and integrated storage, touch language of the modern ubiquitous mobile devices, and the theory of spatial and temporal information organization, we are designing and building the Zet Universe - a transparent, ubiquitous environment within which user is left with content and actions she can apply to it, removing the complexity of the underlying technologies. As it was envisioned originally in the ThinkWeek paper back in 2007 by our founder, Daniel Kornev, we are building the Post-PC experience around personal and shared interests, designed to deliver a new, living metaphor of interaction with information in the XXI century. Microsoft Corporation (NASDAQ: MSFT) is an American multinational corporation headquartered in Redmond, Washington, United States that develops, manufactures, licenses, and supports a wide range of products and services. Zet Universe has been awarded the Intel® Premier Partner status. 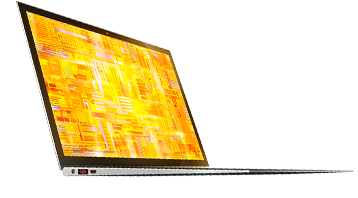 The Premier Partner status is the 2nd highest possible partner level with Intel®, recognizing Zet Universe for its dedication to developing innovative software for ultrabooks and bringing real value to its customers. +1 (425) 298 6530 - U.S.